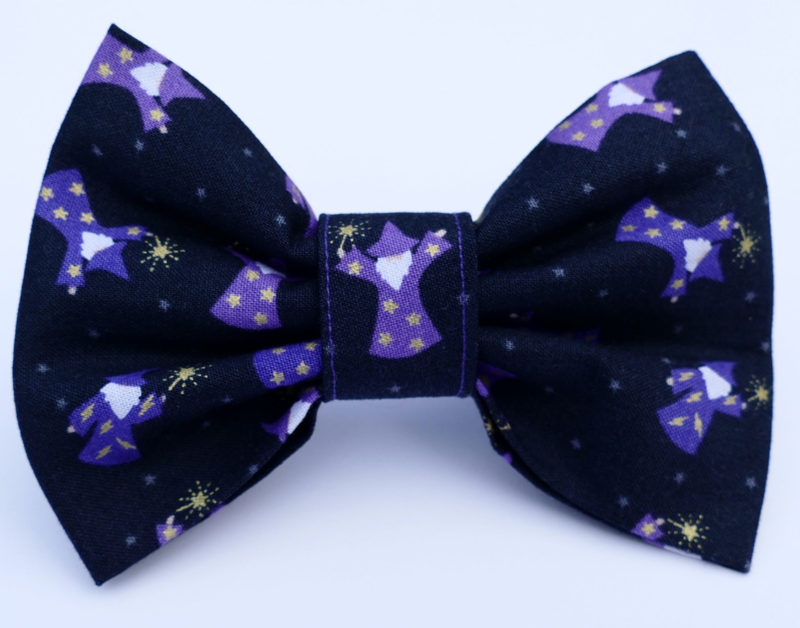 A gorgeous super-premium cotton Wizard dog Bow Tie, with a very dark grey background (very close to black). 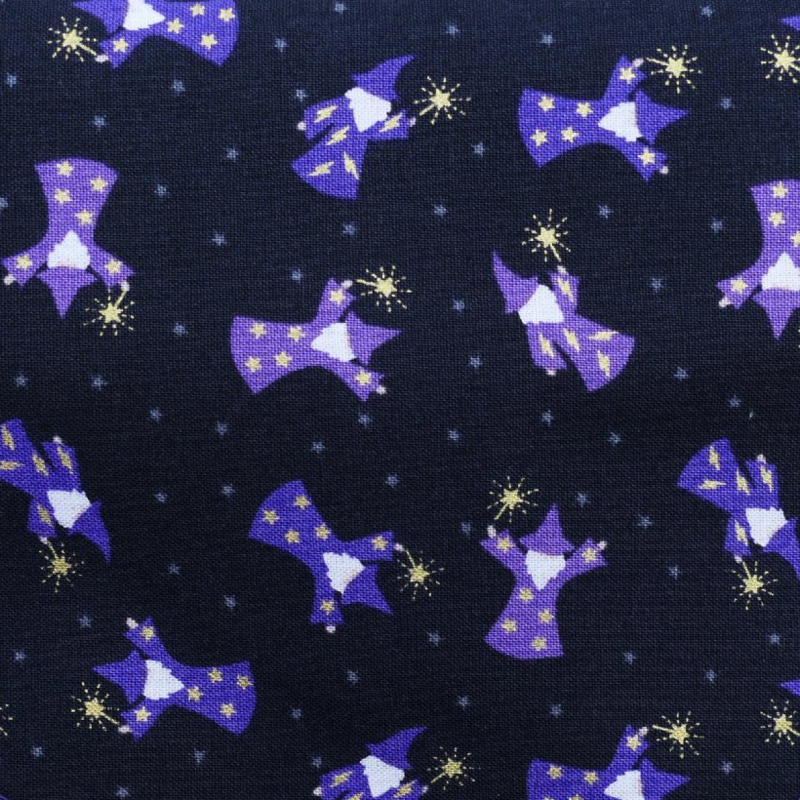 It has an all over print of tiny wizards, and the print has metallic gold embellishment, making this a very luxurious bow tie for pets. It's a stunning design, and is perfect for the fashion conscious, fun loving dog about town! (or country!! ).